The Election Commission has mandated Trusts formed after January 2013 to submit an Annual Report containing details of contributions received and disbursed by them to political parties. The BJP alone received Rs 167.80 crore or 86.59 per cent of the total donations received by all political parties in 2017-18 from Electoral Trusts which are non-profit companies formed for political funding. According to a report by the Association for Democratic Reforms or ADR released on Wednesday, four other parties -- the Congress, Biju Janata Dal (BJD), Nationalist Congress Party (NCP) and Jammu and Kashmir National Conference (JKNC) -- received Rs 25.98 crore collectively in the same period. 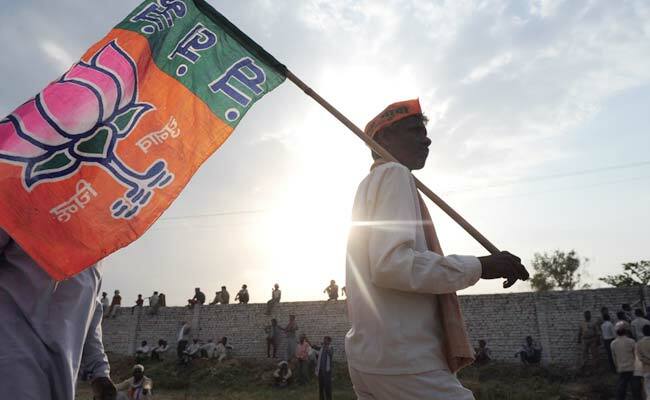 In the last financial year (2016-17), the BJP received Rs 290.22 crore or 89.22 per cent of the total donations received by all political parties from Electoral Trusts. Currently there are 22 registered Electoral Trusts formed by various industrial houses and companies. As per the report, Prudent Electoral Trust donated Rs 154.30 crore and AB General Electoral Trust donated Rs 12.50 crore to the BJP. But the ADR said that only 13 of the Trusts have been submitting copies of their contributions report to the poll panel. The ADR also demanded the Election Commission to mandate trusts formed prior to January 2013 to submit their contribution reports. "Donations details of 6 trusts remain unknown, thereby leading to speculation on whether donations to these trusts were only a means of getting tax exemption or a way to convert black money stashed in tax havens to white money in India," the ADR said in the report.